I've always loved this building. and took a few pics. SHE'LL / I'LL (?) CALL THE LAW ON YOU!!!" SHE'LL / I'LL CALL THE LAW ON YOU!" and that I would continue to take pictures. This was a hard shot. what a time warp it is inside. But I didn't want to press my luck. but it looked AMAZING inside. Uh, city slicker messing with the yokels... you know from Deliverance and Texas Chain Saw Massacre... you might survive but walk away all bloody and freaked out, right? 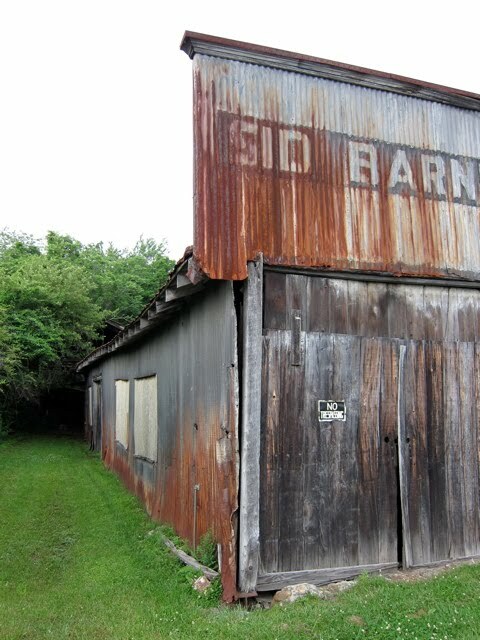 Really cool find, anyways next year I'll visit and risk a little B&E maybe? didnt want to uncover all in transylvania county. this time you made it - p - next time take care..
leatherface waits in the wings..
great tools ,the place is all patina like in "alien".. all so still ,suddenly the creepy creature erupting out of some wacky machinery..
didnt you hear the far away sound of a honda generator? dont go there alone .. promise. Brilliant reporting from the field! 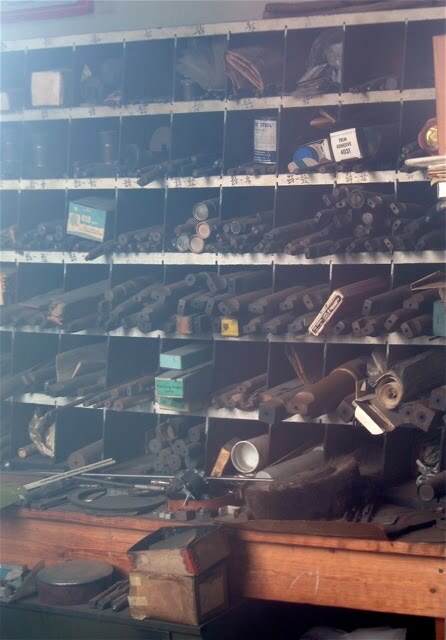 The shelves with all the rod looking things are Morse-tapered drills of various sizes. Judging by their size, this guy was drilling some pretty big holes...most likely with a huge radial drill. Your old salty machinist, Okemah. Impressive. I'd love to see it in person. Part of me wishes you had done a little breaking & entering to get better shots (or one step farther and "acquire" some goods). But at the same time, I completely admire and respect your restraint and (I assume) better judgment. I wonder what your county laws are regarding abandoned buildings. You might be able to buy the property outright...sounds like a great kickstarter project! Pg 119 there is a picture of the guys who worked at Sids. Pretty cool. Maybe the lady was the owner and if you'd been friendly and struck up a conversation she'd have opened it up for you. Next time, maybe. Here's a clue for getting on the good side of rural people: don't refer to them as yokels. Deliverance is just a movie, people. Even Deepest Arkansas is safer than your typical municipal parking garage. Wow - I'm impressed. 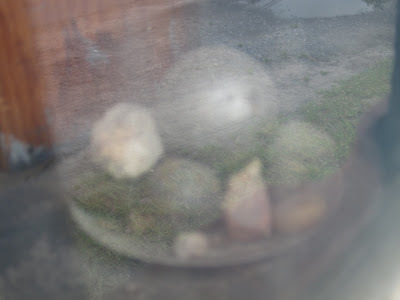 When I first looked at those pics, I had assumed that they came from inside. Nice work! Having worked as a newspaper photographer where I covered rural/farming territory, I can tell you there's often a concern you're "from the bank" when you're an unrecognized person who shows up and starts taking pictures. Exercise caution, play it friendly and polite (introduce yourself if possible), then get out. So you'd kill to get in there? Why not start with that old lady..
Beautiful. 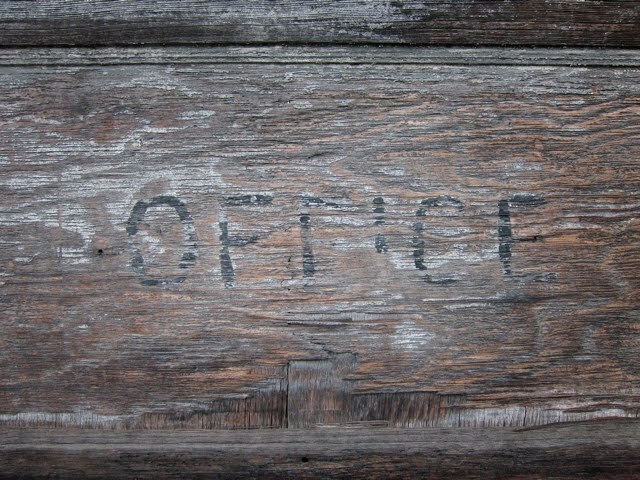 I can smell the barnwood and tetanus from here. Thanks for posting these. That's pretty sweet looking. I'd love to ride out there one day in one of my old cars and snap a pic or two with Sid's as the backdrop. If I shot you my email, would you mind giving me more info on the location? I'm in Charlotte, btw. 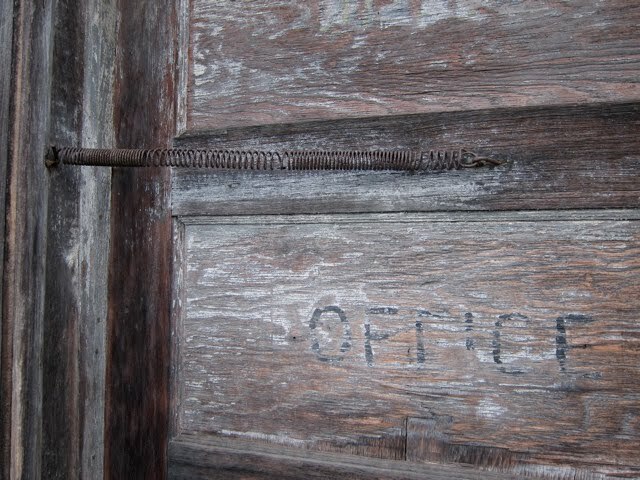 Someone has been working/going in there recently. The are some newer containers on the shelf with the reamers and drills. Looks like one of Sid's ancestors still dabbles in machine work. 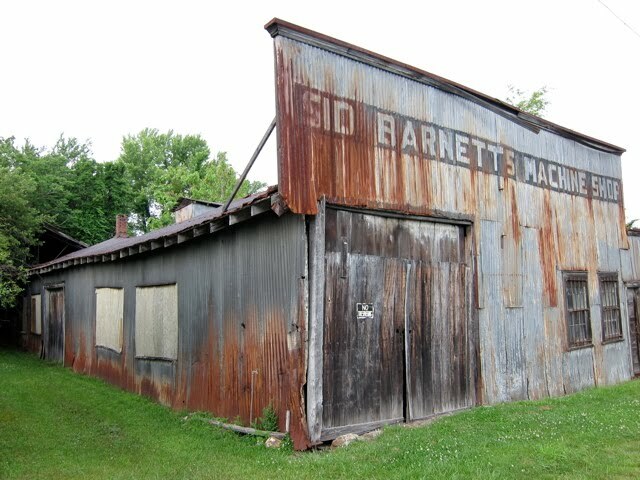 My Dad's shop looks similar and he is in there everyday. 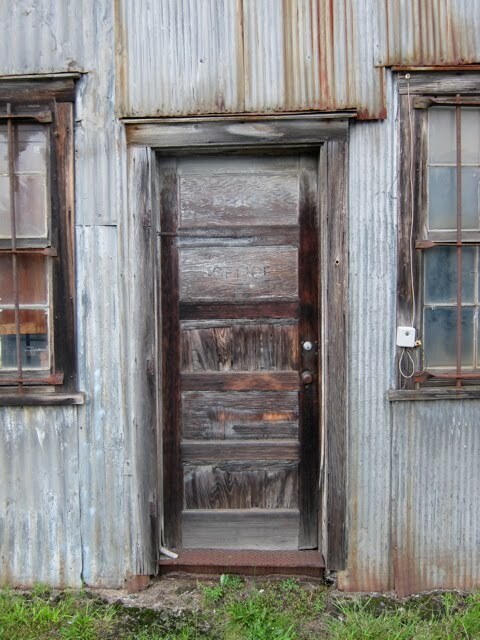 He only recently replaced the rotted out wooden door with a nice overhead door so now it looks a little more modern. Well anonymous... being a yokel myself most of my life, I'm allowed to call a yokel a yokel, a hillbilly a hillbilly and i've lived in a few places that made the guys in Deliverance look near civilized... unfortunately I am not exaggerating. 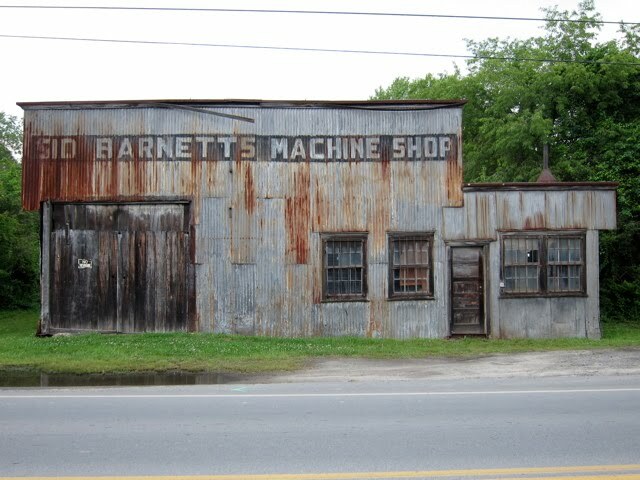 Oh, many of us remember Sid Barnett's Machine Shop in operation. 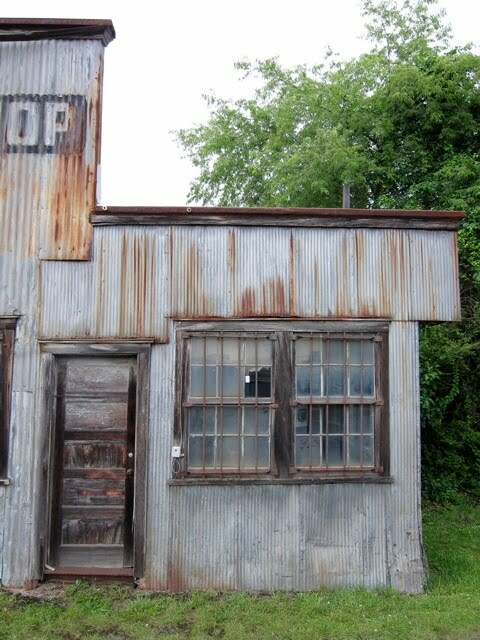 I just came upon this building last week on the way to oskar blues and am finally looking at the one picture I took while driving past. Googled it and found your great photos - the photos of the interior and your background story on taking them - a dream!